Daniele Cervi is from a small town in Italy and has expanded his wings to build his career in London, Dubai and now Phnom Penh. 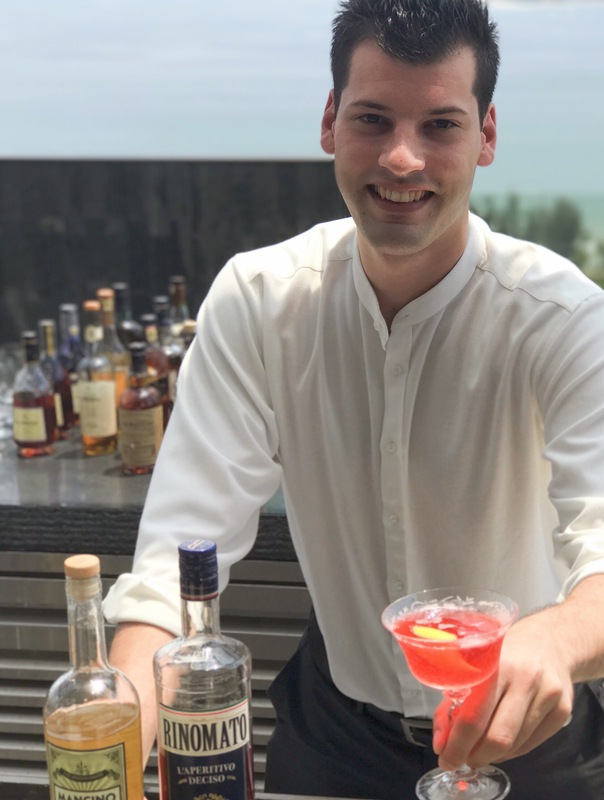 Drinks World finds out about how got to where he is today, what drives him and his role at the soon to be opened luxury hotel Rosewood Phnom Penh. Share with us how you got started in this industry? I fell in love with bartending when I was 14, after reading the book of Gary Regan’s ‘Joy of Mixology’ and Jerry Thomas’ Bartenders Guide; I promised myself that one day I would become a bartender. I developed a passion for the bar scene by attending seminars and certified courses, but the most important thing was my determination to work hard to achieve my dream. Coming from a small village called Massa Fiscaglia, it was not easy to pursue my dream as the bartending opportunities were minimal. I managed to grab my first opportunity at the American bar “Bar Sole” sited in Lido di Spina (Ferrara). I was lucky to work directly with the owner Franco Manfrini and his brother Augusto, who showed me the real meaning of the art of hospitality. You’ve worked in Italy, Middle East and now Cambodia, what drew you to Phnom Penh? There was no good opportunity for me to find a full-time job in my village that could guarantee my future, so I decided to move abroad to London, and tried to cultivate and enrich my bartending skills and knowledge. I was lucky enough to find a speakeasy bar in Shoreditch called Looking Glass Cocktail Club, where I worked with a professional team managed by Michele Reina, Joe Polato and Nicola Rossini, who taught me everything that I now know. Moving forward, I moved to Dubai to expand my horizon in the hotel industry. I worked for Four Seasons Dubai and later in Buddha Bar Dubai, where I met another mentor Francesco Galdi who was the operation manager. I was so determined to fulfill my long-term goal, I thought it was about time to discover new cultures, traditions, and countries to satisfy my thirst. Having said that, I received a call from Rosewood Phnom Penh to be the bar manager for a big project led by Director of Food & Beverage Romain Gissot. I took the challenge, and with my luggage full of motivation and determination, I moved to Cambodia. You’re bar manager at Sora at the Rosewood Hotel, how long has it taken you in your career to reach such a level? It’s taken me five years of professional bartending and operations, to get where I am today. I’m always planning five years ahead of what I want to achieve and how I am going to get there. I work hard every day, long hours, over time, sometimes I even give up my day off. I’ve sacrificed my personal life to get to where I am today. Will the bar have a certain theme or focus on a particular spirit? Sora will be divided into three areas: skydeck bar, indoor bar and whisky bar. 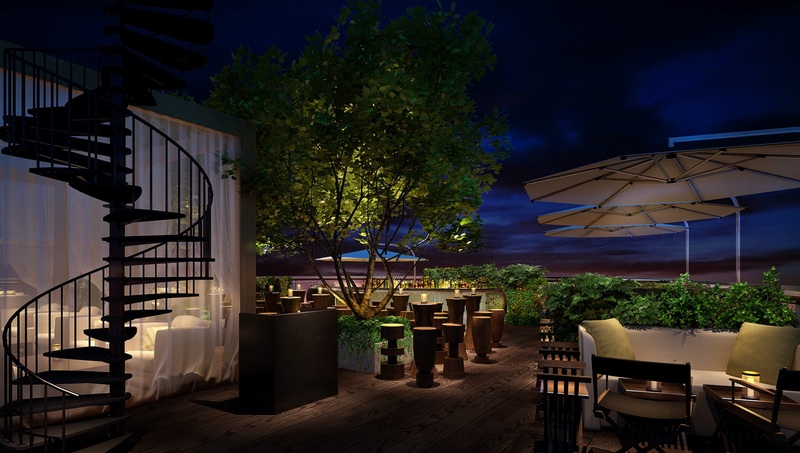 The first will focus on signature cocktails with a list rich in gin and rum selections. 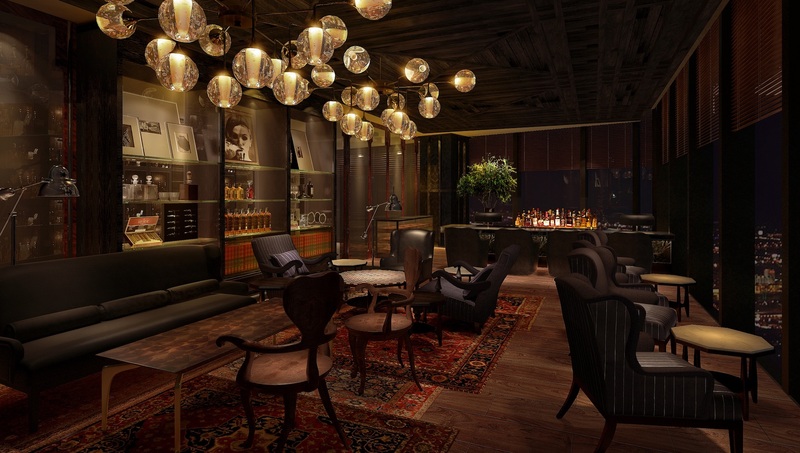 The whisky bar, as the name suggests, will showcase 140 whisky labels from all around the world with a cocktail card based on whisky cocktail and twists on the classics. Then we have Iza, our beautiful Izakaya-style Japanese restaurant, and bar, where you find a big selection of craft beer and premium sake with the addition of Japanese premium whiskies. For bartenders looking for a career abroad, what are the steps to take in the industry to achieve this? My suggestion for the new bartenders is to remain humble, patient and work hard with a goal in mind. There are some steps that need to be followed, for example, I suggest everyone to go to London, and clean as many glasses as they can as it is the best job and best opportunity to learn everything about the bar. Then invest in yourself, buy books about different topics and never stop educating yourself. There is so much to learn about this industry. Once you feel that you are on the right track, move forward to the next stage in your career but remember to bring determination and willingness to work hard. Living abroad is wonderful, but it’s not always easy. You will face a lot of challenges and obstacles. What’s exciting about the cocktail scene in Phnom Penh? The cocktail scene in Phnom Penh is very exciting at the moment because it is still growing. There is already a couple of good bars in town, my favourite is Elbow Room managed by La Familia, the main importer for spirits in Cambodia. I believe right now all of the bartenders in Phnom Penh, have the opportunity to build the cocktail scene in this growing city, and I find it very exciting. For the traveling bartender, what can they expect when they walk into your venue? What I would like to create is a gracious place, where everyone will feel welcome and comfortable. They will find honest service and a big smile ready to welcome them. Last but not least a selection of carefully crafted, tailor-made cocktails and drinks designed to suit the palate and taste profiles of our guests. All of this is set in a wonderful, sophisticated and elegant venue that is Rosewood Hotel.